In the construction world nowadays, framing nail guns or pneumatic nail guns as they are also known are important tools. You should never use one without knowing how to do so properly and safely. If you are looking for tips on how to use this important and powerful tool, you’ve come to the right place as we will look at some crucial tips and steps to getting the best out of it. 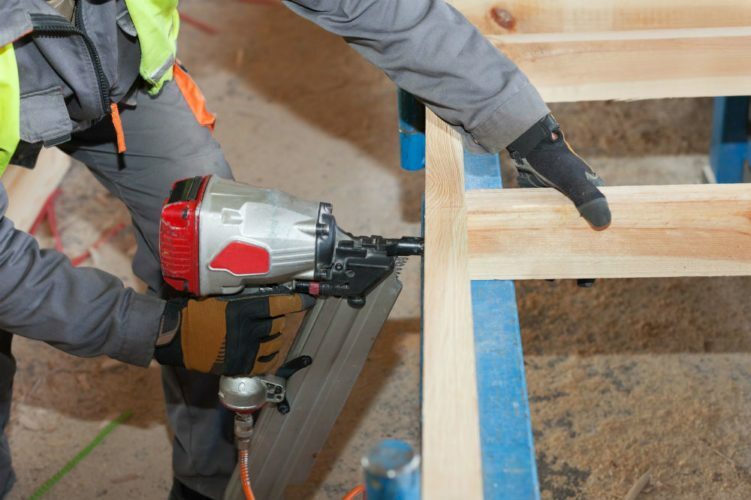 Using any high powered tool comes with risks and using a nail gun of any type is no different. Particularly as nail guns by definition basically use compressed air to fire nails into wood. Before you even pick up one to use it, you need to wear protective equipment, including goggles and a hard hat. Also, anyone who is around you while you use one, should also be kitted out in suitable safety gear. 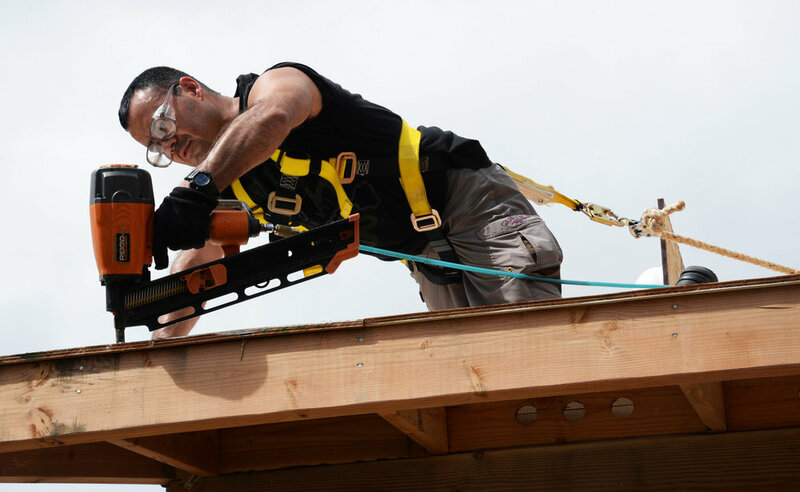 Always take care to ensure that nothing will obstruct you using this tool properly and when you are not using your framing nail gun, make sure it is properly disconnected from its power source and can’t be set off accidentally. There are a number of ways you can actually use a framing nailer to insert nails into a piece of material. The first method is via trigger fire, which means you are shooting an individual nail each time you pull the trigger on the gun. This is the method that most people use because of the increased control and precision it provides. Another firing method though is bump firing, which involves a nail being fired from the gun whenever its nozzle is pressed against a surface. As this is a less precise and trickier method, it requires more practice to get it just right. Although this is arguably a more dangerous method – because the gun could be set off accidentally if it is dropped, it is also a quicker method. Toe-nailing is a form of nailing that involves a nail being inserted at an angle of 45 degrees between two separate pieces of wood. You can do this by laying your studs on the layout marks and digging the teeth of the nozzle into the stud at 45 degrees and pulling the gun’s trigger. The key to toe-nailing like a professional is lining both the stud and plate with the nail to ensure the nail drives through them both without protruding at an angle. As there is always a bit of movement by the stud, you will need to get a hammer and knocked it back and then add an extra nail at the opposite side. Through nailing is a key way to add strength to a frame. Start by building up the walls of your frame while they are lying down. Line studs on the end and from underneath the plate, shoot a nail from the gun straight into the stud. You will need to use two nails at the very least to successfully through nail your frame.